KUALA LUMPUR, Malaysia -- An independent investigation report released Monday more than four years after Malaysia Airlines Flight 370 disappeared highlighted shortcomings in the government response that exacerbated the mystery. 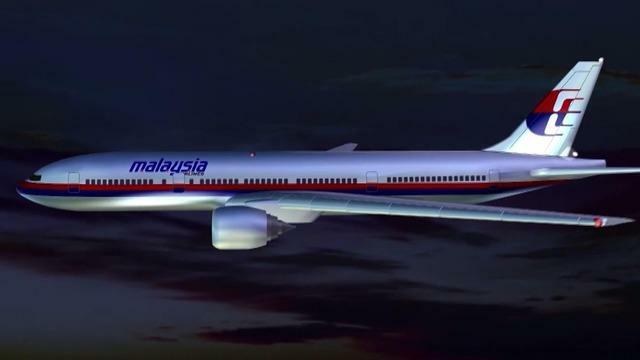 The report reiterated Malaysia's assertion the plane was deliberately diverted and flown for over seven hours after severing communications. It said the cause of the disappearance still cannot be determined and the "possibility of intervention by a third party cannot be excluded." The plane carrying 239 people from Kuala Lumpur to Beijing vanished March 8, 2014, and is presumed to have crashed in the far southern Indian Ocean. "The team is unable to determine the real cause for disappearance of MH370," Kok Soo Chon, head of the MH370 safety investigation team, told reporters according to the Reuters news agency. "The answer can only be conclusive if the wreckage is found." Family members of those onboard the plane said they were frustrated as there were many gaps in the investigations and questions left unanswered. Scattered pieces of debris that washed ashore on African beaches and Indian Ocean islands indicated a distant remote stretch of the ocean where the plane likely crashed. But a government search by Australia, Malaysia and China failed to pinpoint a location. And a second, private search by U.S. company Ocean Infinity that finished earlier this year also found no sign of the wreckage. Officials said Monday's report is still not a final report, since the plane hasn't been found. Malaysia's government has said it is open to resume searching if credible evidence of the plane's location emerges.